If you have old drafty windows and are looking for a replacement option for your Perry Hall, Maryland, home, consider buying vinyl windows from the experts at Roland Slate Service Company. As a full service home improvement company, we are experts in all aspects of home improvement, including window replacement. Since our founding in 1989, we have established a reputation of excellence and integrity through our honest business practices, as evidenced by our A+ rating and the 2013 Torch Award from the Better Business Bureau. This means you can have the utmost confidence in us to get the job done right and provide excellent service along the way. Low profile extruded vinyl frames – These frames provide maximum viewing and can stand up to the often frigid Perry Hall, MD, climate without breaking down. Composite reinforcements – This helps to further improve the structural integrity of the window and prevent warping. Telescoping sill dams – Water will be safely channeled away from the window to protect it as well as the surrounding walls from damaging moisture infiltration. Our replacement windows also come backed by a lifetime material warranty from the manufacturer. And just so that you can have that extra level of peace of mind, we also provide a labor warranty to go along with that. 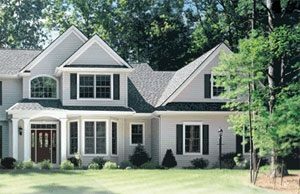 To learn more about the replacement windows we offer to Perry Hall, MD, homeowners, contact Roland Slate Service today.